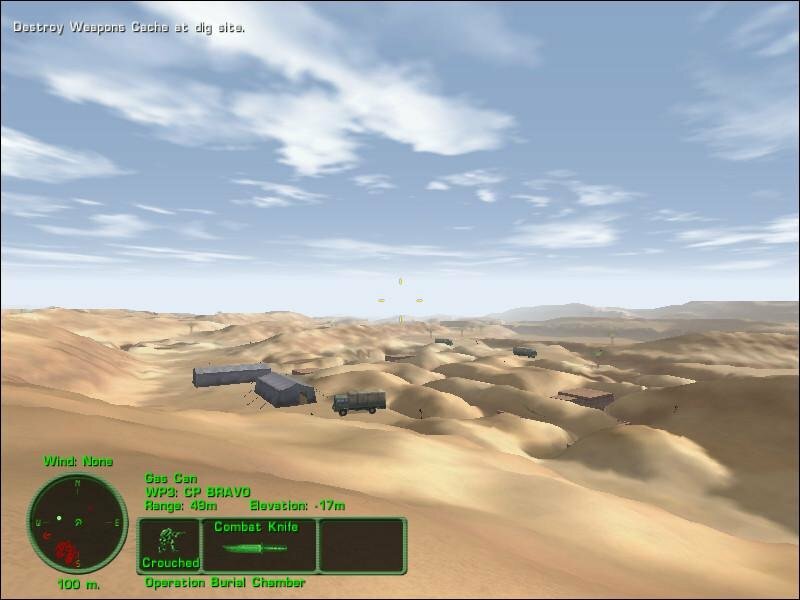 Land Warrior offers cleaned visuals but oh-so-familiar gameplay. 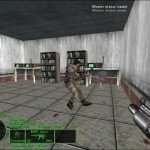 Delta Force is stranded somewhere in the middle of no-man’s land between realistic tactical shooter and pure action game with real-world settings. With the advent of Land Warrior, NovaLogic finally refined the formula to a point where you can actually play the game and not feel like it’s kicking you in the head. For my take, this third iteration is the most enjoyable entry, although in many respects it’s the same game the third time in a row. 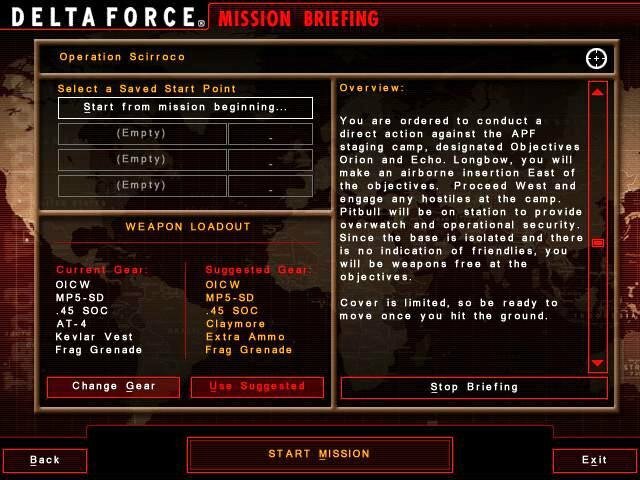 It’s just that here most of those glaring technical issues from older Delta Force games have been polished out. 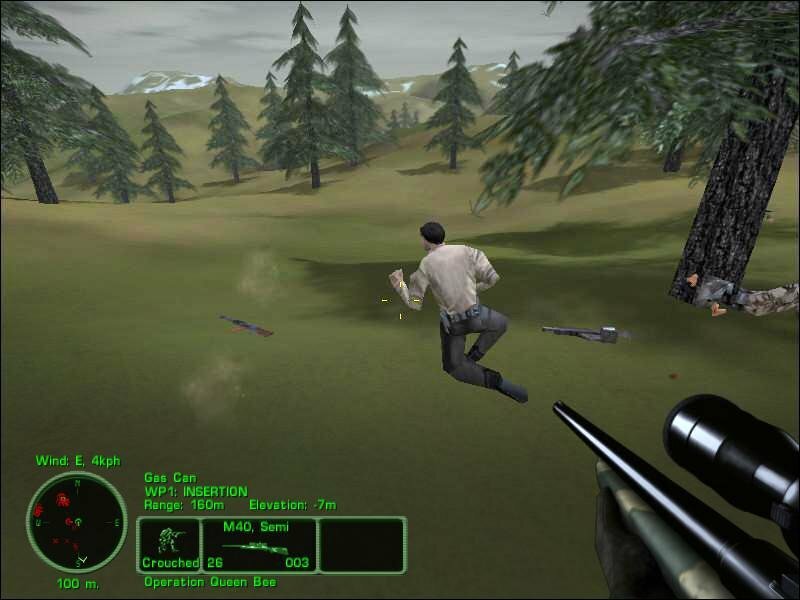 The engine is capable of higher resolutions, the gameplay is more refined and the product overall is more enjoyable. 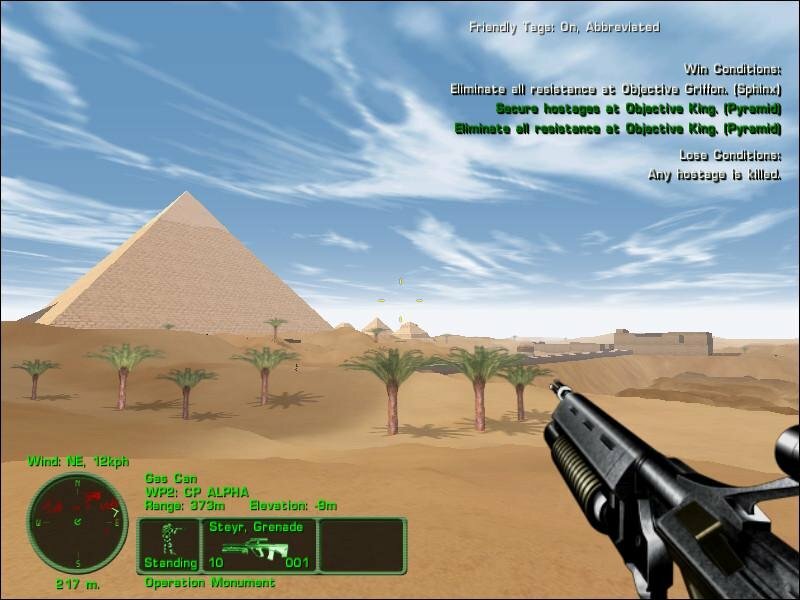 Visit glorious Egypt and shoot generic terrorists. 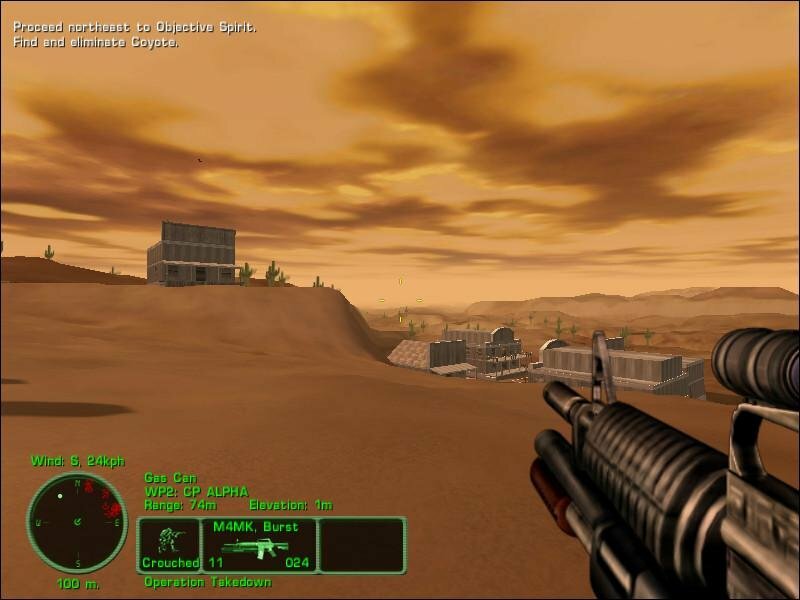 Previous titles used the Voxel Space 32 engine, which allowed for intricate terrain and insanely long draw distances but couldn’t be accelerated by video cards. 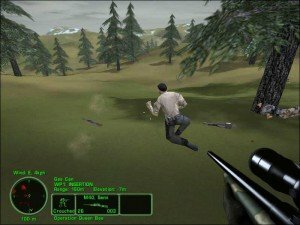 It was a debilitating handicap complemented by some awful framerates to boot. 3D acceleration has finally been introduced with Land Warrior, and now you get smooth graphics at 1024×768 on even 16 MB onboard video cards. 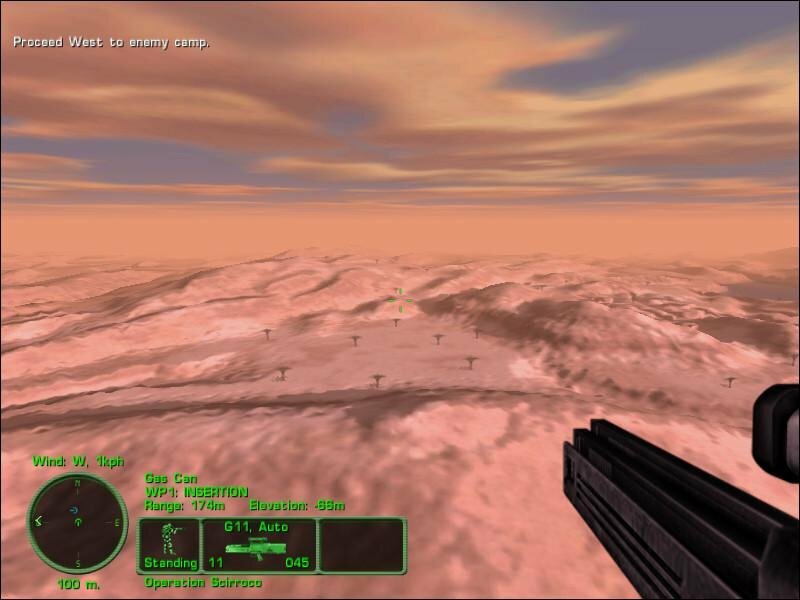 Draw distances are just as impressive here, the visuals are a lot cleaner and building interiors somewhat more complex. It’s only a shame the game itself is an empty shell. 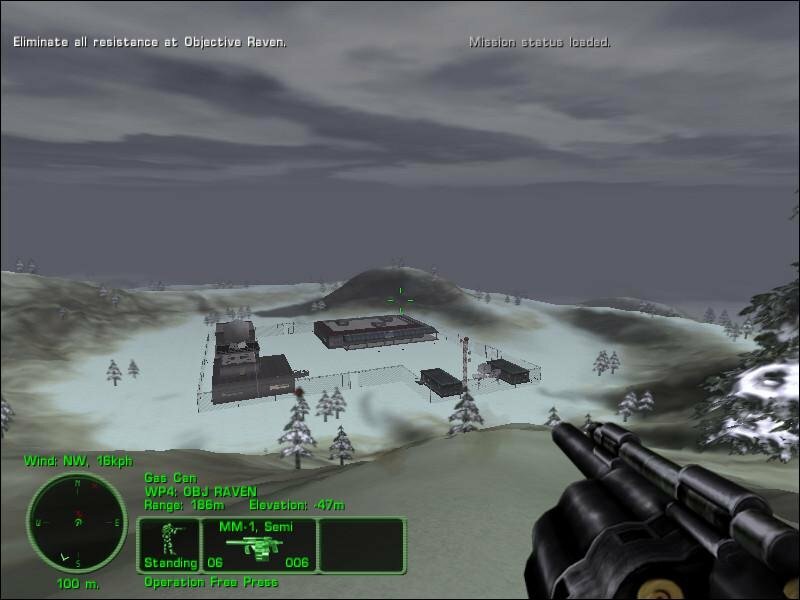 In fact, the entire blandness of the experience sinks in pretty fast, as you start playing the solo campaign and realize it’s essentially the first Delta Force with better graphics and considerably lowered difficulty. The inconsistencies become self-evident the moment you fire up the first mission – why are the battlefields so lifeless, with barely a few trees peppered every square mile? Why aren’t there any tanks, APCs, mortar crews or jet planes? 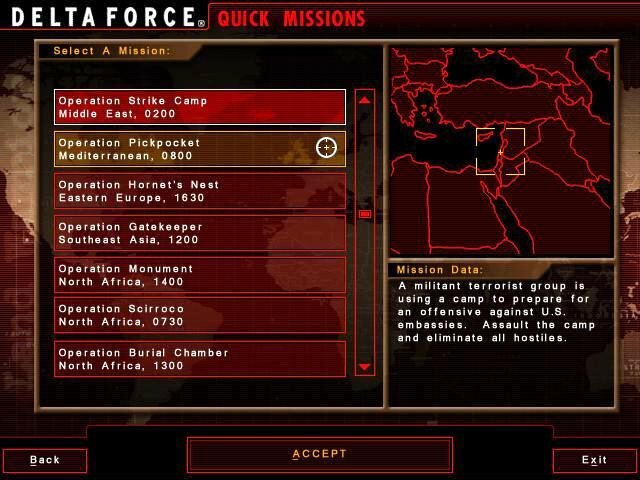 Why can’t you call in a couple of A10 attack bombers to pick off enemy armor or a machinegun nest, or direct a volley of artillery to soften up heavy defenses? Instead the gameplay is more or less a photocopy of older iterations, which isn’t to say it’s terrible. Just terribly unoriginal. While the missions don’t sprout much creativity, the available armory has been increased extensively, if not always ingeniously (how come you have to shoot at choppers with the anti-tank launcher?). 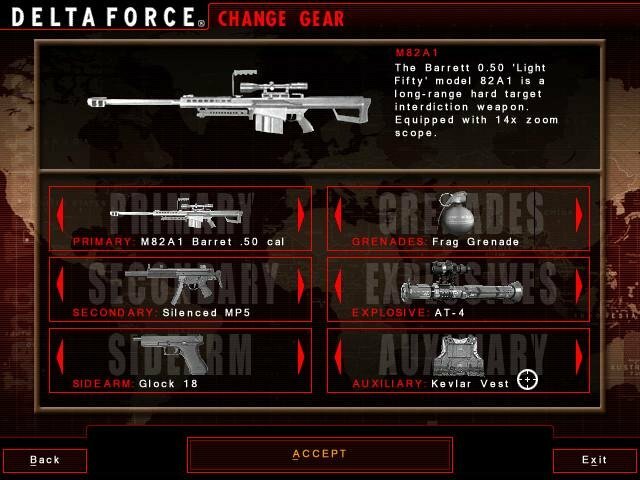 A host of new assault rifles, sniper rifles and machineguns have been added, and you can now discard your chosen gear and pick up enemy weapons if you run out of ammo. 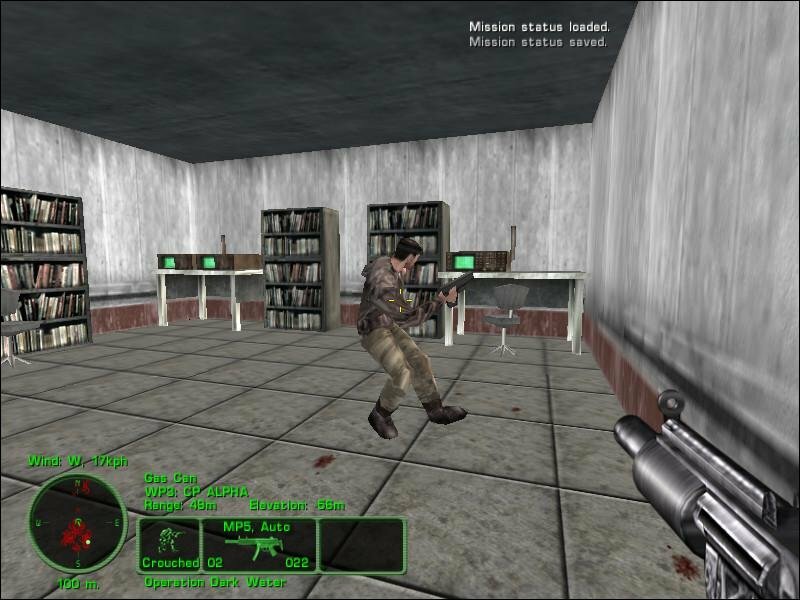 While the weapons are numerous, they’re not that visually appealing, resembling cardboard cutouts crudely pasted on your screen. 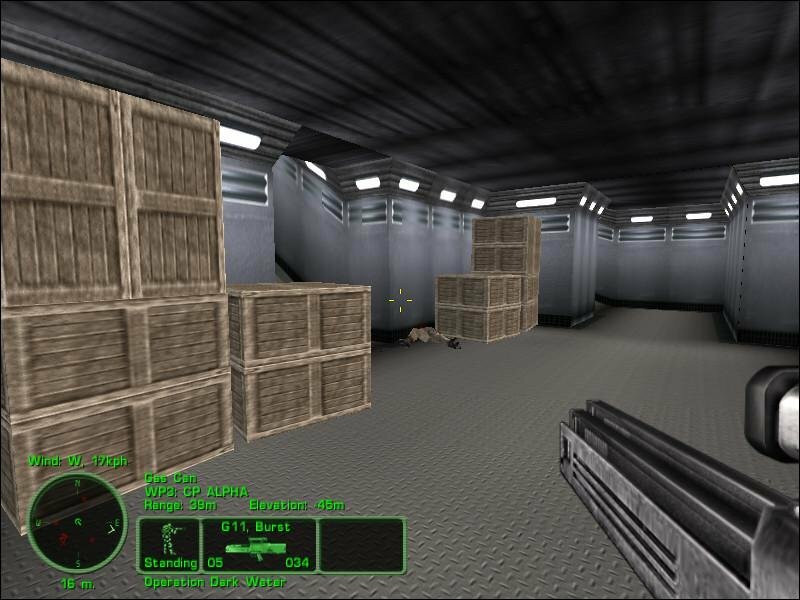 These non-animated, pre-rendered guns likely made it in to save up on framerates, which they might very well do, but they also give the game a crappy, cheapo look. The AI is just as revoltingly bad as ever, whether we’re talking enemy soldiers of friendly team mates. On most missions, one of the characters you didn’t choose will accompany you, apparently to give the enemy more things to shoot at. 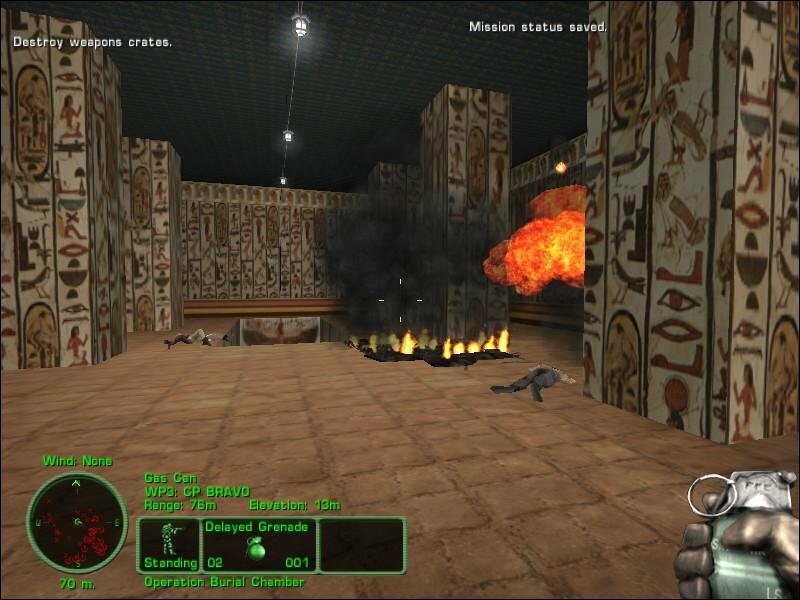 Usually your teammate dies stupidly; on the few occasions that they survive, it’s because they didn’t do anything and thus weren’t exposed to fire. 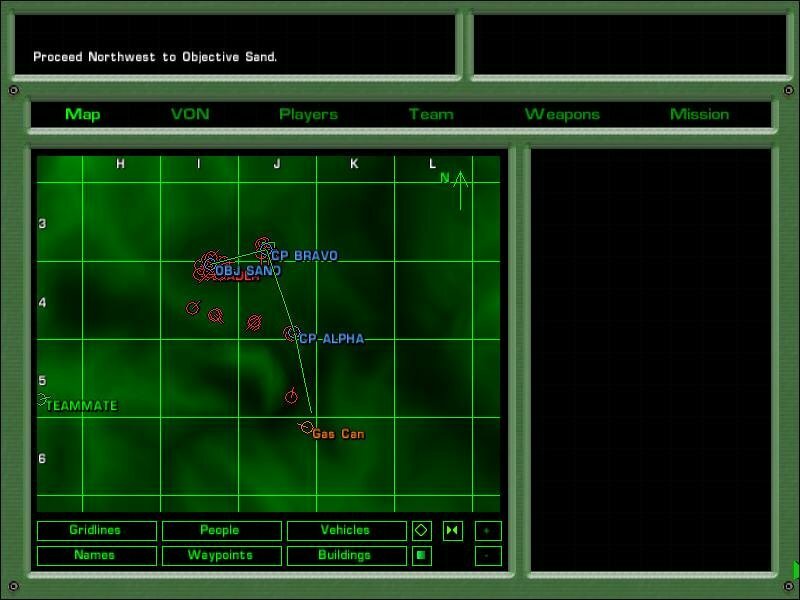 Like the other Delta Force games, this one’s a lone wolf operation. 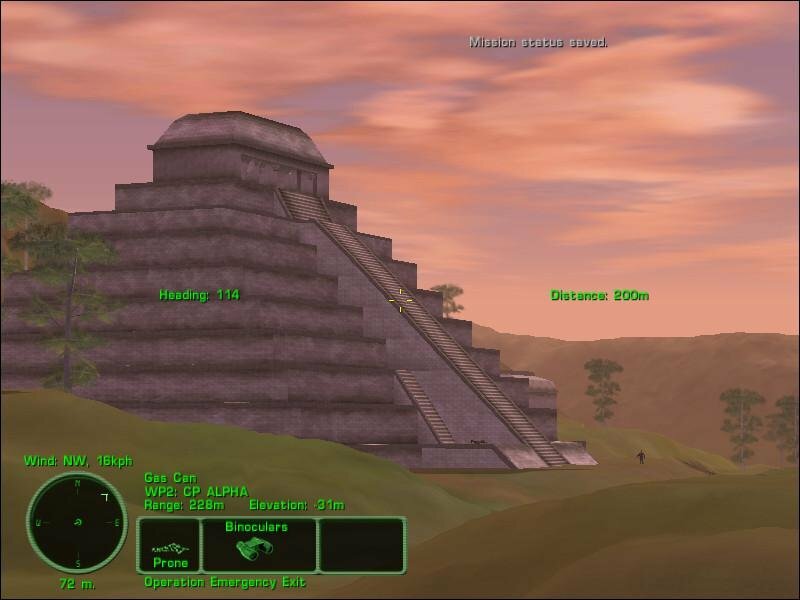 Yet this doesn’t necessarily make the game unbeatable, since now you can save and load during a mission – a feature that should have been implemented long ago. Night missions are actually fun, even if there isn’t enough stealth weaponry. The interior areas look tolerable. Be very, very quiet! 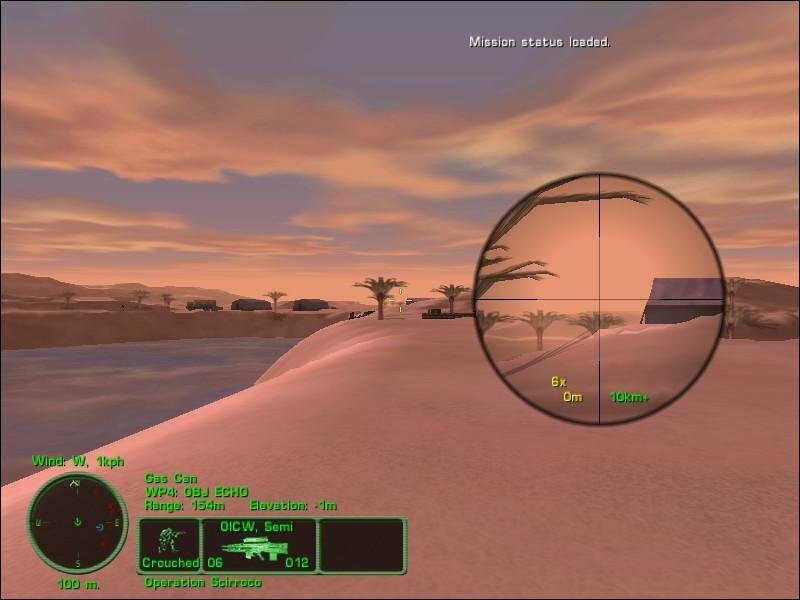 I’m huntin’ terrorists! Easily the most enjoyable way to play is on co-op. 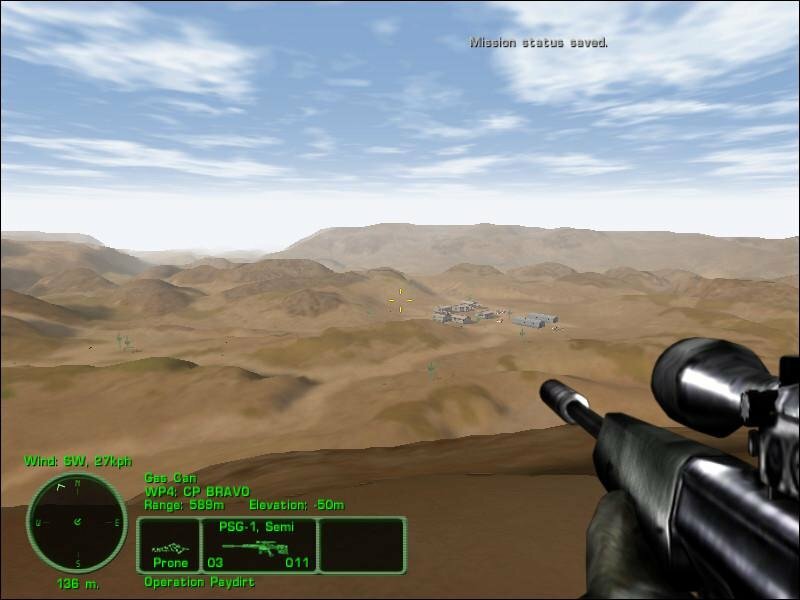 It’s great fun playing as a sniper team, with one person deploying a suppressed PSG rifle with a low-powered scope and another one calling in elevation and wind corrections on distant targets. 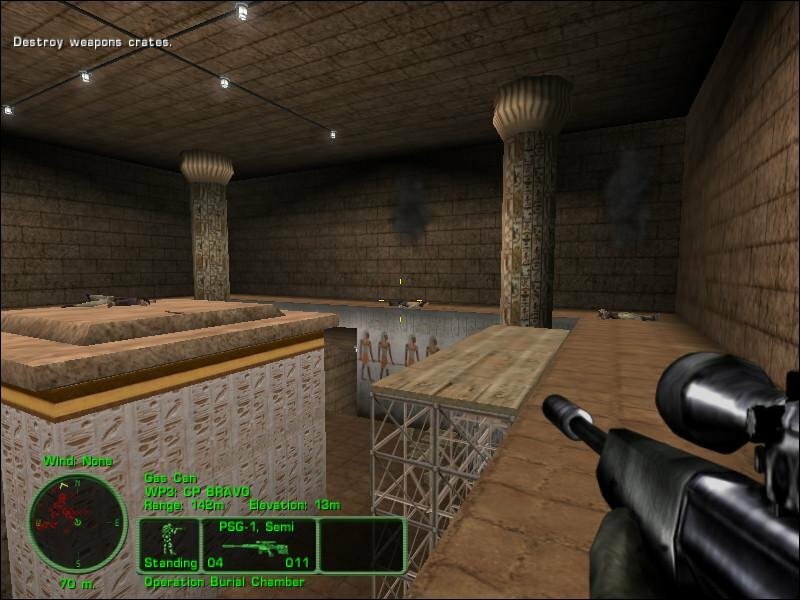 You can kill off an entire base like this from high ground, then trade your long-range rifles for AK’s and go close combat. 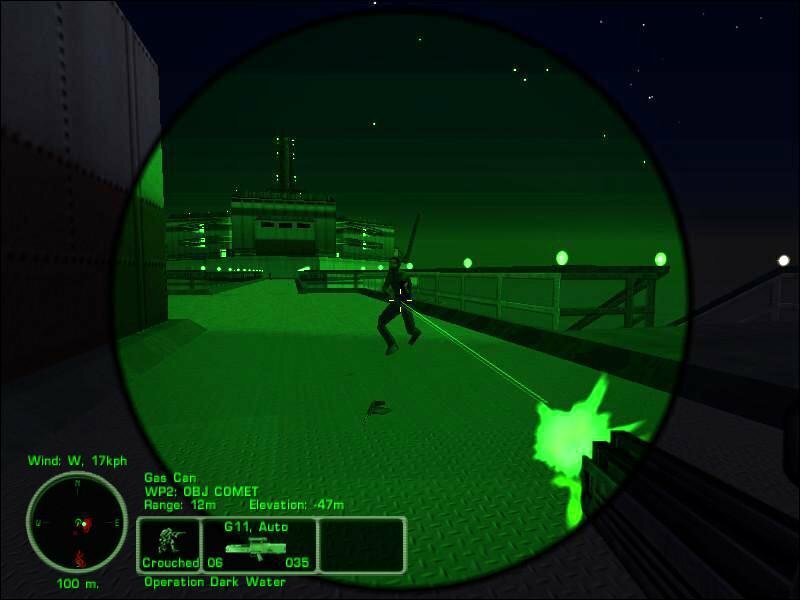 To the AI’s credit, it handles stealth more realistically this time – you’re almost invisible when crawling around at night, so it’s only curious that the game neglects giving you proper suppressed weaponry for you to indulge in your midnight hijinks more often. 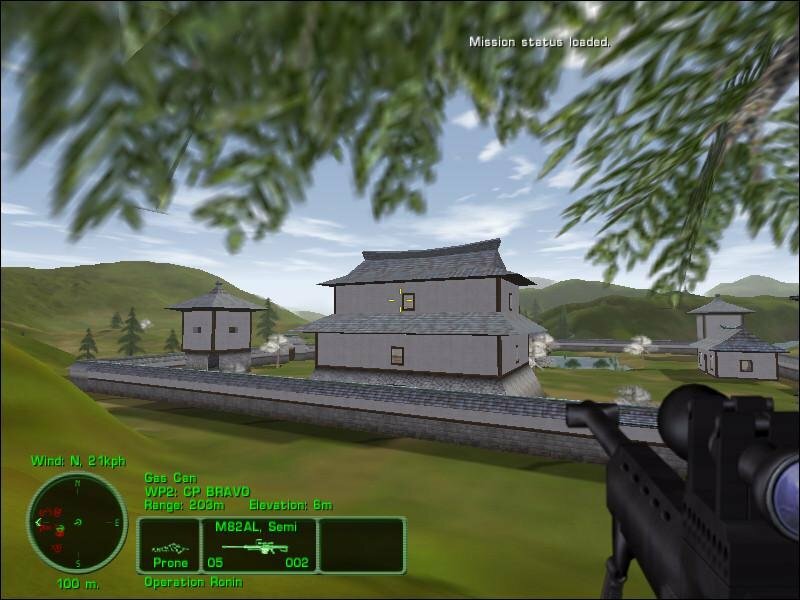 But it doesn’t make much difference if you go in ninja or not – Land Warrior is almost laughably easy with the savegame feature, even when the AI is set to ‘Hard’ (which, by the way, doesn’t make them smarter by one iota – only more accuerate). 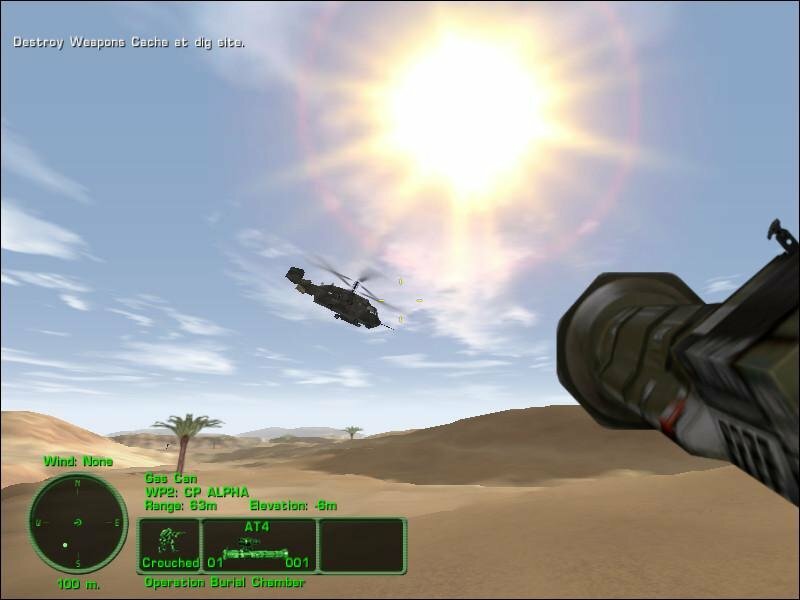 If you’re even marginally familiar with previous Delta Force games or have yet to try the series then Land Warrior is by far the most polished DF experience overall. It’s just depressing that three games into the series and there’s been precisely zero progress in its basic gameplay. Old games won’t work on modern computers. Buy a potato pc. 10 years or older. install XP and 95% of the stuff here will run. 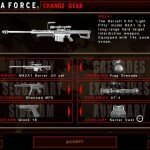 Try compatibility mode, i can run Delta Force 2 on my windows 10 laptop. 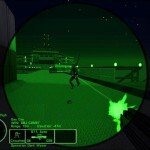 single player mode is disable. what should i do?